We will talk about some good and bad things from HUAWEI HONOR 7, this phone have good improvement while compare with several other product. Like what we ever know before, HUAWEI HONOR family is design to become good quality product and we can get more than what we pay, at least if compare by several other International brand. Previously, same excellent selling quantity also happen for Huawei Honor 3C, Huawei Honor 4X, Huawei Honor 4C, and Huawei Honor 6. Front Camera 8 MP, LED flash, and panorama. What is Strength and Weakness for HUAWEI HONOR 7 Body & LCD & Processor ? HUAWEI HONOR 7 can connect to Internet with fast Internet broadband using 3G which able to work at several frequency, this is important because some country have their policy for 3G HSDPA frequency usage. Moreover, the 4G LTE also available at this phone which bring more advantage if we need to connect using more faster Internet broadband connection which up to 300 Mpbs, but please note that every provider will give various regulation about maximum speed for their 4G LTE. The HUAWEI HONOR 7 4G LTE support FDD LTE. The advantage of HUAWEI HONOR 7 processor is because this phone use Octa Core processor with collaboration between dual Quad-core at Quad-core 2.2 GHz Cortex-A53 & quad-core 1.5 GHz Cortex-A53. This powered by 64 bit from HiSilicon Kirin 935. This is Huawei own manufacture processor. Using HiSilicon Kirin 935, we can have dedicated GPU Mali-T628 MP4 for faster 3D performance also very good for playing HD games without problem or without lag. Other Strength specification of HUAWEI HONOR 7 is LCD screen, this phone have 5.2 inches LCD screen using IPS type for better color view. With Full HD resolutions at 1080 x 1920 pixels, we can watch any movie at this phone without any problems, especially because good performance of Octa core processor and also big 3 GB RAM. Bigger RAM will make HUAWEI HONOR 7 can run more applications for multitasking. Battery advantage of HUAWEI HONOR 7 is bigger then 3000 mAh, this phone use 3100 mAh battery capacity. We are happy to know that this phone have bigger battery, because that is very annoying to have good specification smartphone but with small disadvantages battery capacity if this phone less have less then 3000mAh battery capacity. What is Strength and Weakness for HUAWEI HONOR 7 Camera ? This is good improvement for camera specifications at HUAWEI HONOR 7, because this phone use 20 megapixel at main camera which have Phase Detection auto focus facility which have similar DSLR technology for getting better focus of the object that we want to shoot or capture. If we take photo at low light situations, then we can get help from Dual Light flash for main camera and also other light flash for front 8 megapixel camera. Take a good photo or record movie will make the internal memory will become fully use. Therefore we always suggest to use external microSD memory card up to 128 GB which available if we choose single simcard GSM, because if we choose dual SIM GSM then HUAWEI HONOR 7 does not have other location to put external memory. 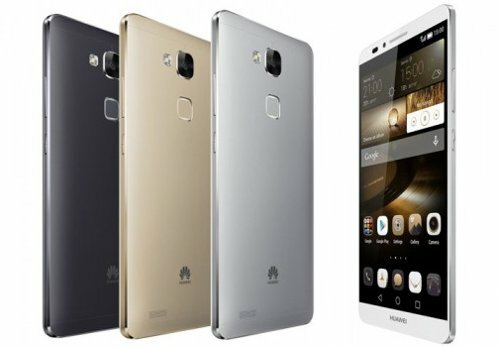 What is Drawback / Disadvantage of HUAWEI HONOR 7 ? After use several month or years, the battery will become weak and need to replace, but sadly HUAWEI HONOR 7 battery can not removable easily. Therefore we have to bring our phone to brand store or service center to replace to battery with original one. We are very welcome for anyone who can give more information or disadvantage to share for us, please feel free to share your opinion. This article is talking about honor 7 disadvantages, honor 7 problems, huawei honor 7 problems, disadvantages of honor 7, honor 7 cons, Huawei honor 7 disadvantages, honor 7 drawbacks, Honor 7 disadvantage, honor 7 dual sim not working, disadvantage of honor 7. You can find other topic at our related post bellow. I am using honor 6 and its really great phone . i am willing to upgrade my handset what after reading this article i am in confused ..
After having the 7 for only a month I am changing it. It is the worst (new) phone I have ever owned.1. When sending VM you can just about hear the message. 2. Trying to get a signal is none exist any. 3. I can wait for over an hour to load a video sent to me. 4. I don’t believe the processor is good enough. 5. The charging port is broke already I have to prop r cable up to charge. A problem I have never had with any of my phones. I look after my phones. I had a galaxy note 3 for 4 years and not a thing wrong with it. Honor 7 Indian version is dual Sim phone or dual Sim ?